This recipe is called "focaccia" because it is baked in that style—flat on a sheet pan, and then cut up into whatever sized pieces you want. Focaccia is delicious as toast, for sandwiches, and is always a favorite in the bread basket. This focaccia-style bread is "rough" in texture like heavy whole grain breads, but since it isn't made with wheat, it doesn't have the same kind of grain as wheat breads. The carbohydrate in flax, however, is almost all fiber. Flax has many amazing health benefits, such as its significant fiber and thiamin content, as well as being high in antioxidants. Flax also makes this bread gluten-free. But flaxseed isn't all about nutrition—it also brings a delicious nutty flavor to this focaccia bread. Preheat oven to 350 F. Prepare a pan (10x15-inch pan with sides works best) with oiled parchment paper or a silicone mat. In a large bowl, whisk flax seed meal, baking powder, salt, and sugar. Add the beaten eggs, water, and oil to the dry ingredients and combine well. Make sure there aren't obvious strings of egg white hanging out in the batter. Pour batter onto the prepared pan. Because it's going to tend to mound in the middle, you'll get a more even thickness if you spread it away from the center somewhat, in roughly a rectangle 1 or 2 inches from the sides of the pan (you can go all the way to the edge, but it will be thinner). Bake for about 24 to 28 minutes, until it springs back when you touch the top and/or is visibly browning. Let cool and then cut into whatever size slices you want. You don't need a sharp knife—a spatula will do. 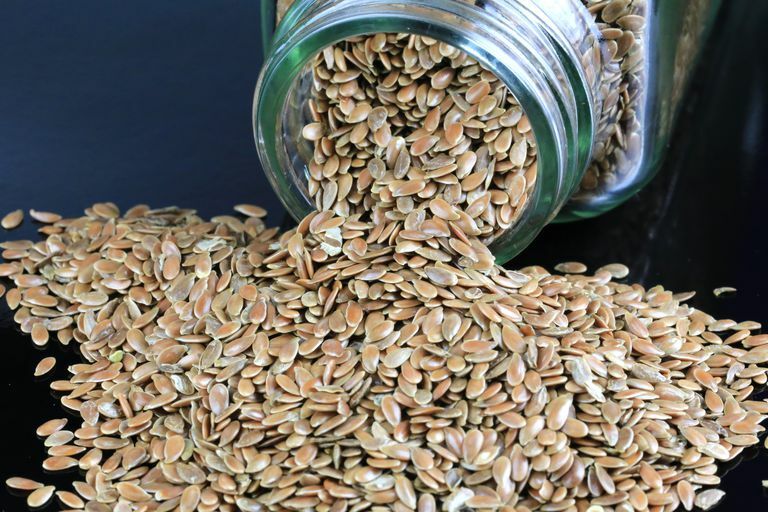 Besides containing a lot of fiber, flaxseed is also high in antioxidants. Flax has a high content of protein and omega-3 acids, which assist in reducing inflammation. Research has shown that flax also can lower LDL (bad) cholesterol levels, and stabilize blood sugar levels, which is good for people with diabetes.